Why am I, at the moment, going so slowly through my Deliverance review? I feel an extended meditation on the point of DC's portrayal of Justification Theory (JT) was, er, justified, given the many misunderstandings and unfair dismissals in peer reviews. Many who will read this review will, I suspect, gain much from DC's critical engagement with JT. As Doug made clear in his guest post, at a more popular level JT problematically holds a more extensive grip on theological imaginations. For these two reasons, I plan to slither reasonably slowly through Part One of The Deliverance of God. It was necessary to spend so much time clarifying exactly what DC aims to do with 'Justification Theory' (JT), because it has so often been misunderstood and rhetorically dismissed, rather than argumentatively falsified. In so doing, the problems which dog the interpretation of Paul have been swept under a rhetorical carpet, an unhealthy manoeuvre DC aims to combat. Let us now, then, press on to overview JT itself, remembering the points made above, specifically that we are now going to be confronted with the theological content of readings of Romans 1-4 (not ‘conservative’, ‘Lutheran’ or any other academic readings of Paul in toto!) and the theological implications of this reading, something that needs to be undertaken before this soteriology is then introduced them into the broader picture of Paul. The soteriology, which DC calls JT, begins with the pre-Christian condition, a state which involves rational, self-interested individuals who know what must be obvious to all: that God is just and retributively punishes sin. Sin, here, is the transgression of God’s moral demands which, for the Jew, is the law (who are ‘the archetypal occupants of phase one’ ), and for the Gentile is the conscience (hence natural theology has a big part to play in this soteriology). As God is just, it functions as follows: 'do bad you get punished', but also ‘do good you get rewarded’. Hence the soteriology is fundamentally conditional. It follows that, for this system, ‘ethical legislation based on retributive justice is the fundamental structure of the universe, as well as of the divine nature’ (17). Yes, of course, this text can be read in different ways (and a terrific analysis of the various options is presented by Michael F. Bird in his helpful book, The Saving Righteousness of God: Studies on Paul, Justification and the New Perspective [Milton Keynes: Paternoster, 2007], pp. 155-78), but it seems to me that Bird's "Christian Reading" of these verses, that "Paul is speaking of Gentile Christians who fulfill the Torah through faith in Christ and life in the Spirit" (166), tries ultimately to make the text say what it does not say. Many of the misunderstandings of DC’s thesis, which have surfaced in the comments to my earlier posts, could perhaps be avoided if one bears in mind that DC never argues that readers of Paul subscribe to JT in toto. He simply does not say that JT completely sums up readings of Paul – even Melanchthon, who is pretty close, doesn’t entirely. DC is well aware that other scholars know there is much more in Paul than JT. The point is this: to say other things about Paul, to make him more palatable, to include pneumatology etc., one has to amalgamate contradictory theologies into one. DC aims to sharpen our appreciation for the actual theological content of Romans 1-4, to clarify what is at stake. This all means that the straw man argument employed by some reviewers is in fact itself a straw man! Have not DC’s critics set up a weak caricature of his position, which ultimately means that they don't have to engage with its substance? The point is this: if you read Paul – which is after all what we are all supposed to be doing – you then end up with a certain argument, and then a certain theory, one that cannot simply be dismissed (i.e. you have to provide an alternative reading of the actual texts). ‘I have, it is true, protested against recent commentaries on a Epistle to the Romans. The protest was directed not only against those originating in the so-called "critical" school but also, for example, against the commentaries of Zahl and Kühl ... My complaint is that recent commentators confine themselves to an interpretation the text which seems to me to be no commentary at all, but merely the first step towards a commentary. Recent commentaries contain no more than a reconstruction of the text, a rendering of the Greek words and phrases by their precise equivalents, a number of additional notes in which archaeological and philological material is gathered together, and a more or less plausible arrangement of the subject-matter in such a manner that it may be historically and psychologically intelligible from the standpoint of pragmatism ... Jülicher and Lietzmann, not to mention conservative scholars, intend quite clearly to press beyond this preliminary work to an understanding of Paul. Now, this involves more than a mere repetition in Greek or in German of what Paul says: it involves a reconsideration of what is set out in the Epistle, until the actual meaning of it is disclosed ... The conversation between the original record and the reader moves round the subject-matter, until a distinction between yesterday and to-day becomes impossible’ (Karl Barth, The Epistle to the Romans, trans. Edwyn C. Hoskyns [Oxford: Oxford UP, 1968], 6-7, italics mine). DC, like Barth, wants to engage us with the ‘subject-matter’ of Romans 1-4 and, according to the conventional reading, these are the theological commitments necessarily involved. Perhaps, in light of the DoG reviews it would have been better, for pedagogical reasons, to order the argument differently. 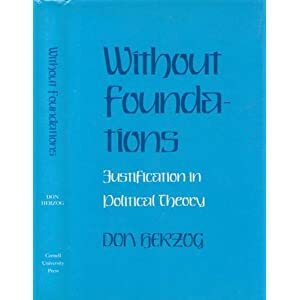 Would it have been better to have begun with his hermeneutical clarifications in Part Two, or at least with his discussion in chapter 7, ‘The Recognition of a Discourse’ – only then to launch into the portrayal and critique of JF? Of course, I must insist that, as I noted above, DC did make himself clear in his preamble in chapter one (pp. 11ff). We will return, when we examine chapter 7, to the importance of some of the distinctions in play here. Let us press ahead now to DC’s analysis, which builds on J.B Torrance’s analysis of Federal Calvinism. Indeed, I am tempted to continue this review with his chapter 7 first, before turning to Justification Theory ... what shall I do?! I would suggest, however, that these assertions entirely fail to hit the target. 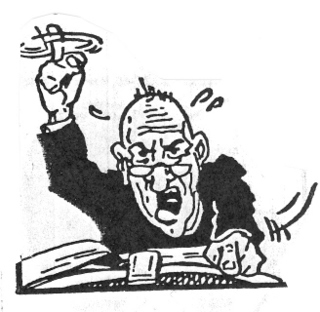 DC’s argument is simply this: that conventional readings of Romans 1-4 (including those which maintain crucial texts in these chapters are representative of Paul’s own theology and not ‘speech-in-character’ – which we will explain later) involve certain theoretical or theological corollaries, and, if Paul is not to be dismissed as hopelessly confused and contradictory at a basic level, then this is the system that follows. DC is well aware that scholars have ways around these theological implications, by reading parts of Romans 2, for example, in light of Romans 5 etc., and he will discuss these strategies later - under titles such as 're-framing' - and offer reasons why they fail. This is not his present point. But a detailed description of the theological commitments involved in a conventional reading of Romans 1-4 is necessary so that clarity may be gained in the task of understanding how Paul’s theology fits together as a whole. Further, arguments against DC, to the effect that the JT ‘construct’ is not found in Luther, Calvin etc. does not refute DC’s thesis at all, but ironically actually proves his point! If Luther and Calvin move away from JT at points, which DC will actively show that they indeed do (! ), then all this demonstrates is that they have lost the exegetical witness of Romans 1-4, which, as we shall see, affirms one of DC’s main theses! In the next post, I will mop up some of these points with reference to Karl Barth's exegesis of Romans. In the next few posts I will spend a fair bit of time on Justification Theory and misunderstandings of DC’s argument at this point. Hopefully we will then be in a place to better understand the brilliance of DC’s solution: a rhetorical and apocalyptic reading of Paul. ‘... amalgam of a particular reading of various Pauline texts ... and a theory of salvation that, given certain key elements, simply must develop in certain directions as a matter of sheer rationality’ (12). Had this point, and DC’S elucidation of it, been taken seriously, a number of misreading of DC’s thesis could have been avoided. JT is not simply a description of what Luther, Calvin, Moo etc. 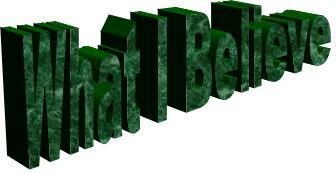 believe, nor did it ever claim to be. DC is well aware that the reformers, and those who followed, cannot be forced into the neat lines of the soteriology he will now describe. As DC explains: ‘There is a sense, then, in which this is something of a thought experiment: if Paul is interpreted ultimately a certain points in the following fashion, then all these consequences follow. And what follows is an individualistic, contractual soteriology grounded ‘in certain critical metaphors and reinforced by certain ideological and cultural positions, many of them distinctively modern’ (14). It is for this reason that DC’s JT cannot simply be dismissed as a ‘monolith’ (Watson), as if it were illegitimately imposed upon readers of Paul. Given that misunderstandings are so common at this point, I will develop the point made above in the next installment in dialogue with Francis Watson and Mark Seifrid. What to include in a lecture entitled "New testament Overview"? What to include in a lecture entitled "New testament Overview" that lasts a mere 2 hours?! The rest of that particular course covers specific NT books and the theme of New Creation in more depth. The Gospels (linking this in with the story of restoration outlined above). This leads into a look at Luke-Acts in terms of salvation-history. Then I try to answer the question, 'must I be a NT scholar to be able to read and preach from the NT?' – which will give you a clue as to the nature of my audience. Would you add / chop anything here? If you are a get-by-on-minimum sort, repent and do some research! While preparing for a lecture on biblical theology, I had to ask myself whether the future of the 'biblical theology' project (Hahn and co.), despite the renewed stream of both German and English language publications, should ultimately be subsumed, whilst carefully swerving around 'reception history', into a wider theologically ordered exegesis (Fowl, Webster etc.). King Poo has his thesis stored in Tübingen's University library here. What a Biblical Studies Carnival West has pulled off! Wowzers! Plus he said some nice things about me which, while I ultimately do not agree with his opinion, is nevertheless greatly appreciated! Sadly, due to prior work commitments I cannot go to the BNTC tomorrow, so I wish those of you who are going a great time. 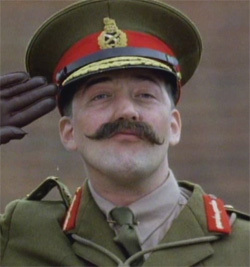 Melchett: So you see, young Blackadder didn't die horribly in vain after all. George: If he did die, Sir. Melchett: That's the spirit, George. If nothing else works, then a total pig-headed unwillingness to look facts in the face will see us through. James Crossley just drew my attention to the new 'Sheffield Biblical Studies' blog 'dedicated to ideas from, and news about, the Department of Biblical Studies, University of Sheffield'. to your blog readers! There is bound to be some really good stuff appearing there. By the way, if I have not said so already, James' book Reading the New Testament: Contemporary Approaches, is a real gem, highly recommended, yea for undergrads mainly I guess, but I learnt plenty from it. He demonstrates an impressive clarity of presentation and thought.